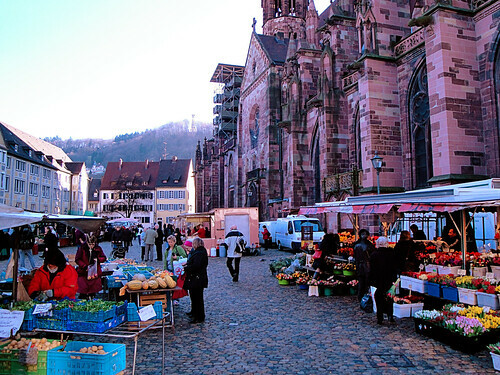 Every day (except Sunday), Freiburg has a fabulous open-air market in the Münsterplatz, or the plaza around the Freiburger Münster, our big cathedral. I looove visiting the market! 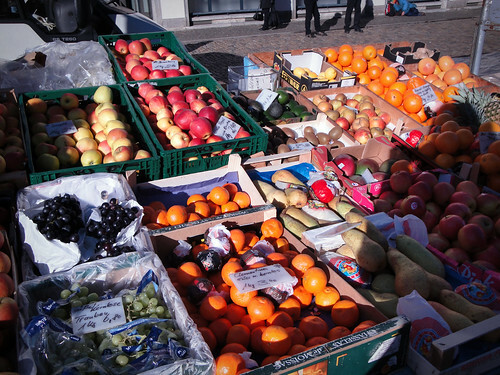 They always have fresh fruits and vegetables…. And lots of fresh flowers…. No two days are ever exactly the same at the market! 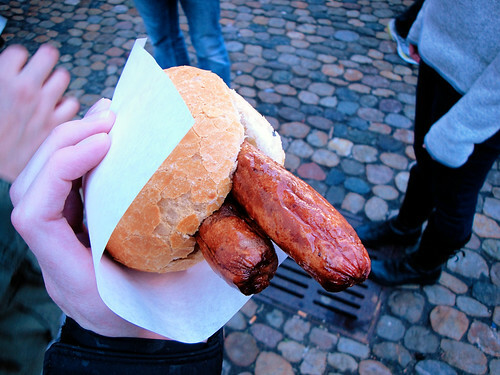 I love the variety, the freshness, and the authentic German experience! 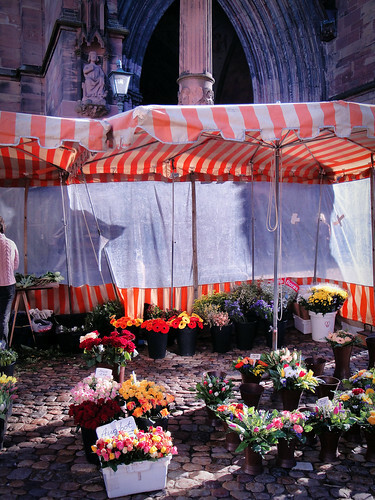 great photographs, and I LOVE German markets. 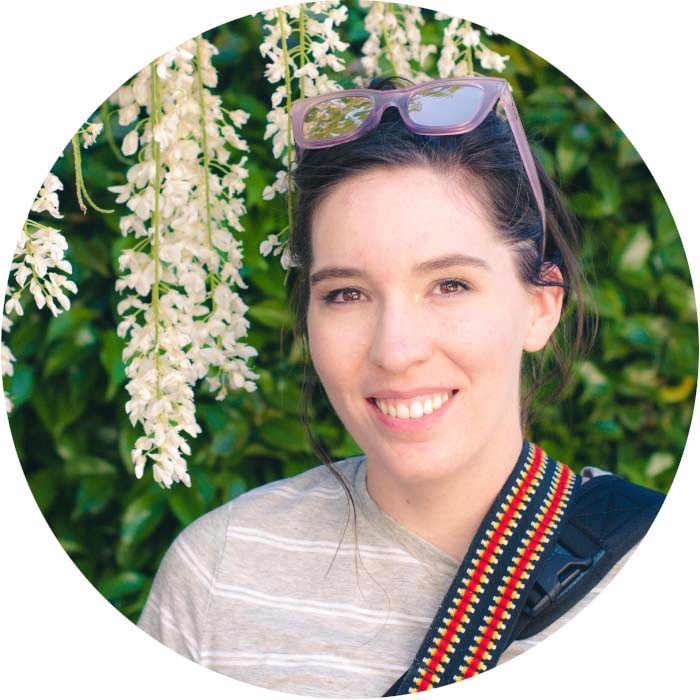 What kind of camera did you use? I really love the tones and colors.